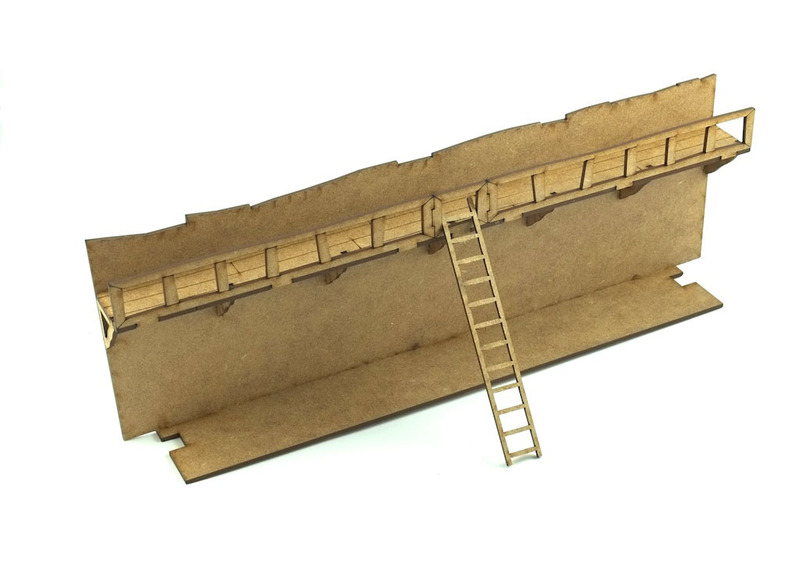 This laser cur 2mm MDF kit is a companion to our Roman Gatehouse and can be used to create a modular fort layout. The wall has an upper rear walkway with an option of placing an access ladder (ladder included). The front of the wall is engraved to simulate planking and the wall top is staggered to enhance the timber effect. The wall section is 300mm Long x 100mm high.